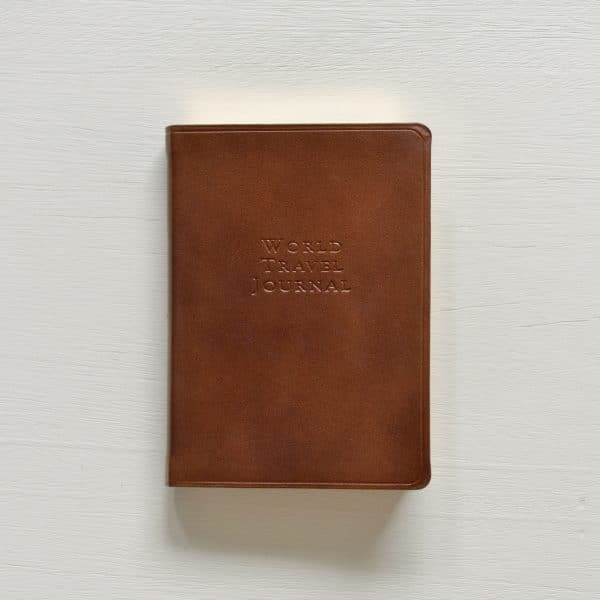 This 4.5″ X 6″ leather journal with “World travel Journal” embossed on the front is perfect for recording travel memories. A list section at the front of the journal features pages with the following prompts, organized by Location: purpose/activity, lodging, restaurants, purchases, transportation and weather. The main pages for long-form musings are ruled and marked with city, place, and date fields in the upper left corner. The back of the journal is filled with a brief travel almanac, various maps, and gridded sketch pages. A ribbon page marker makes keeping your journal on the correct page a breeze.